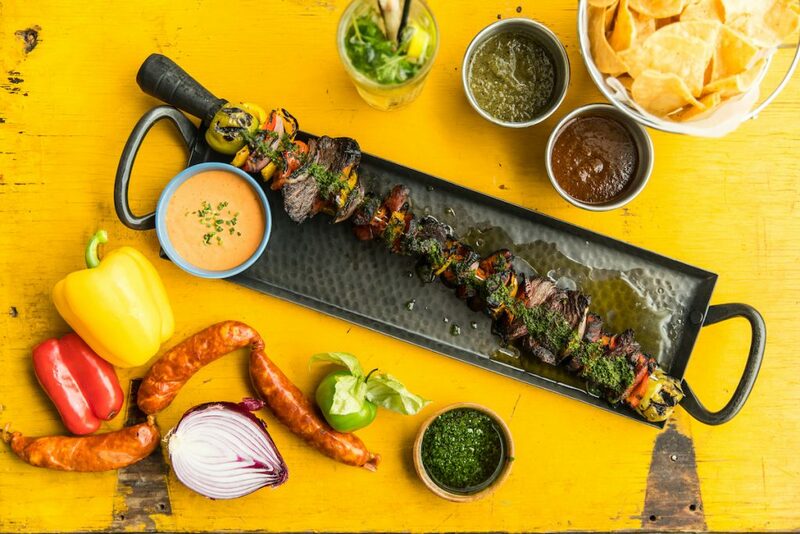 For 19 years, Nacional 27 has focused on the culinary and cultural adventure of Latin-American countries. With their new steak program, they are keeping the focus on the flavors that made them the original Latin restaurant of Chicago. At the center of the menu, you’ll find an expanded section on Latin steak that have always been guest’s favorites. 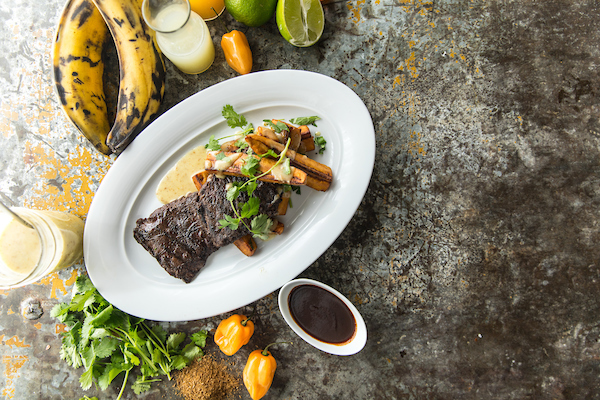 Travel through Latin-America with six different steak preparations that are inspired by the travels of our chefs. Each cut of steak is perfectly paired with a preparation from a different country. 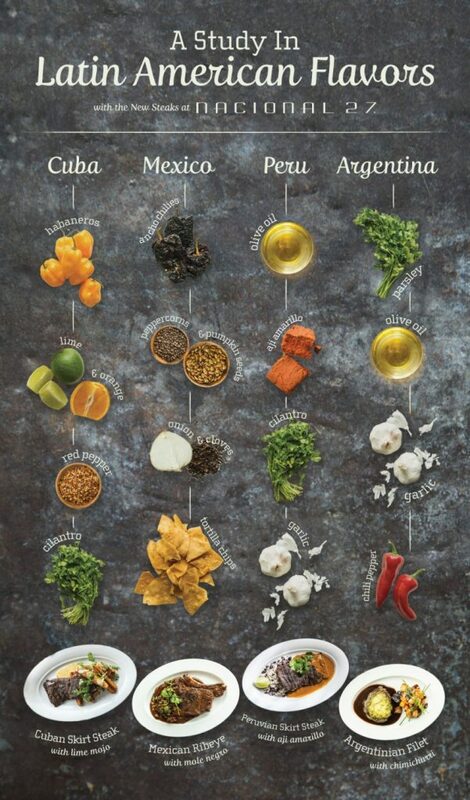 Venture through the ingredients that make these dishes unique from Cuba, Mexico, and Peru. Lime-Mojo is a Cuban staple that is made with garlic, olive oil, lime juice, and spices. This classic salsa packs a floral and fruity punch that is well-known on the island. 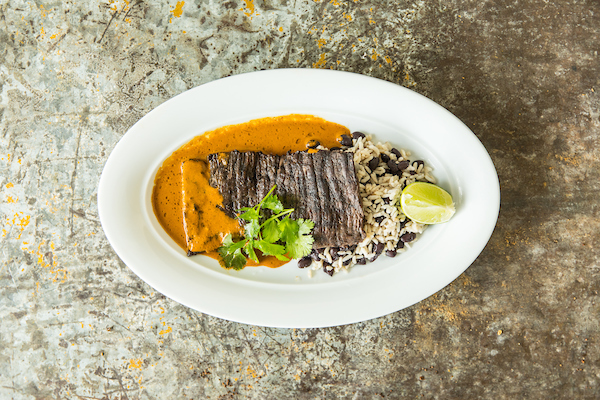 Used on many types of fish, meat, and vegetables in Cuba, Nacional 27 tops their Skirt Steak with the sauce. Consider choosing the Crispy Plantains as your side dish with this one. Nacional 27’s Skirt Steak is smothered in a sauce called Aji-Amarillo, which is made from an ancient chili found almost solely in Peru. You will have a difficult time finding this bright-orange chili in your supermarket unless you reside in South America. Take a trip to Peru and a majority of the dishes you’ll try will be covered in the complex flavors of the Aji-Amarillo. The cowboys (or gauchos) in Brazil did all of their cooking over an open flame. A usual meal for them would meat skewered with their favorite vegetables and seasonings. Nacional 27 honors that tradition with their own version of this Brazilian staple. Every region has its own version of a Criolla salsa. This accompaniment can be used on a variety of meats, cheeses, and vegetables. 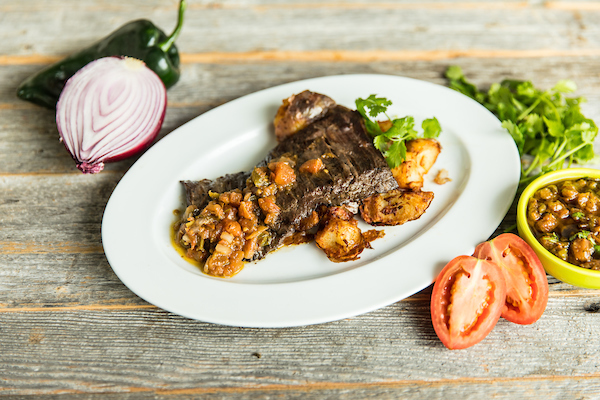 The one that you’ll find atop a perfectly seasoned skirt steak highlights a Mexican style of flavors – tomato, jalapeno, vinegar, and herbs. The highlight of this dish is the Chimichurri sauce. 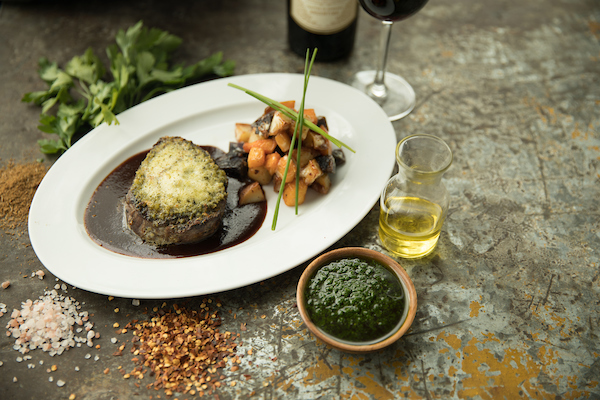 This classic Argentinian sauce is made with chopped parsley, garlic, olive oil, and vinegar. You’ll easily find Chimichurri at every cookout, family dinner, or get-together of any kind. It’s simple, delicious, and an absolute staple. Every Mexican grandma has their own secret mole recipe. This old word favorite contains chilis, nuts, pumpkin seeds, and cocoa and is simmered to perfection. 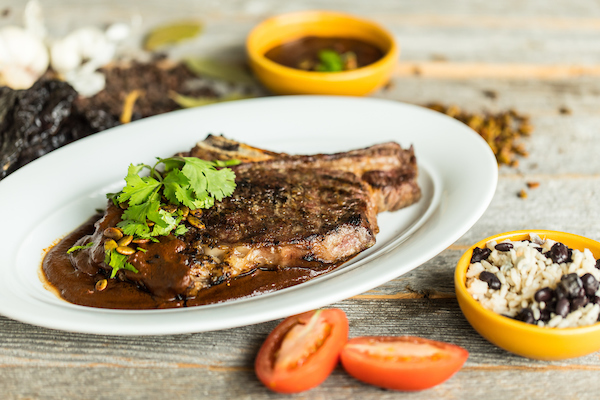 Bone-in rib eye never tasted so good with this rich Mexican sauce. Paired perfectly with each steak is Nacional 27’s signature margarita followed by a spin around the dance floor. Join us every Wednesday evening for complimentary Latin dance lessons at 7:30 p.m. by Nacional 27’s very own dance instructor. Learn how to Salsa, Bachata, Tango y mas! 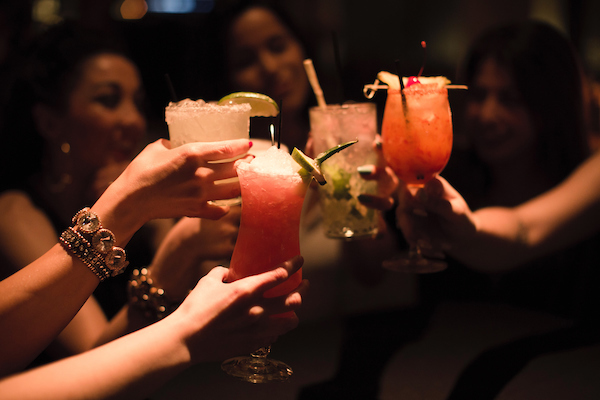 Every Friday and Saturday evening at 11pm, Nacional 27 turns into a vibrant Latin nightclub.